Holy Matrimony is Christian marriage, in which two enter into a lifelong union, make their vows before God and the Church, and receive the grace and blessing of God to help them fulfill their vows. Desiring to receive the blessing of Holy Matrimony in the Church, do solemnly declare that we hold marriage to be a lifelong union. We believe that the union, in heart, body, and mind, is intended by God for their mutual joy; for the help and comfort given one another in prosperity and adversity: and, when it is God’s will, for the procreation of children and their nurture in the knowledge and love of the Lord. And we do engage ourselves, so far as in us lies, to make our utmost effort to establish this relationship and to seek God’s help thereto. If you would like to inquire about celebrating the Sacrament of Holy Matrimony at Saint John’s, the first step is to request our booklet on The Celebration and Blessing of a Marriage from the church office at 217-344-1924. We encourage a couple to consult the clergy at least 90 days prior to the proposed wedding date (150 days if either party is divorced, when the bishop’s approval is required). 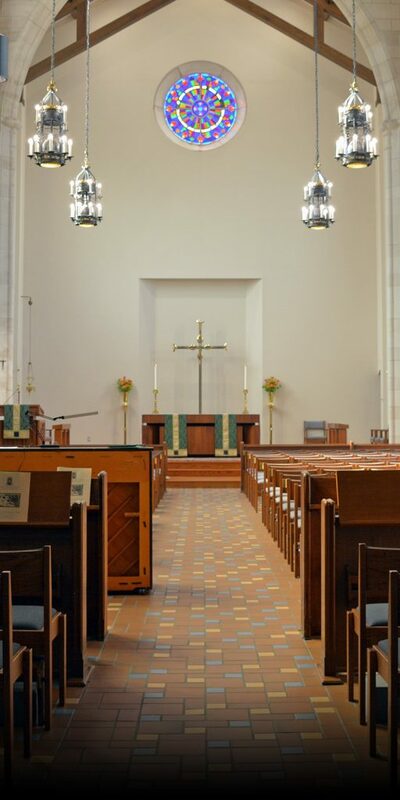 The Canons of the Episcopal Church require premarital counseling for all couples seeking the Sacrament of Marriage, as well as a willingness to sign their agreement with the Declaration of Intent from the Book of Common Prayer on page 424. Making plans much further in advance is strongly advised, in order to ensure scheduling flexibility. You can explore the Sacrament of Holy Matrimony in the Book of Common Prayer, pages 422-432.